HELLA BUTTER REVIEWS: THE CONJURING 2! Plot: In 1977, paranormal investigators Ed and Lorraine Warren come out of a self-imposed sabbatical and travel to London, England, where an overwhelmed single mother, Peggy Hodgson, believes that something evil is in her home. 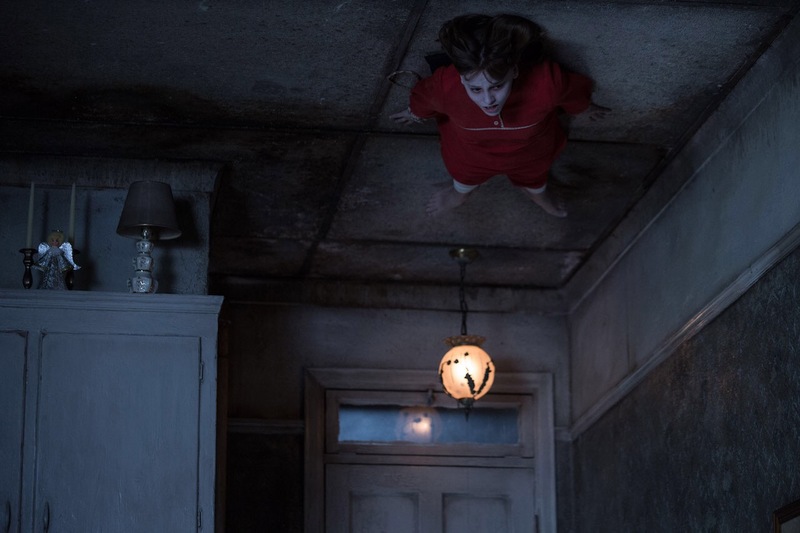 When Peggy’s youngest daughter starts showing signs of demonic possession, Ed and Lorraine attempt to help the besieged girl, only to find themselves targeted by the malicious spirits. Review: I will start this review with the following: I have not been this scared in a movie theater since The Conjuring came out in 2013. That just goes to show you how brilliant director James Wan is. I thought the first movie(The Conjuring) was the best horror movie I’ve seen in the last 10 years. So now I can say this – The Conjuring 2 is the best horror movie I’ve seen in the last 10 years. It’s the perfect kind of storytelling that James Wan has mastered. Not only is it scary, you are emotionally invested in all of the characters. It is a hell of a ride! 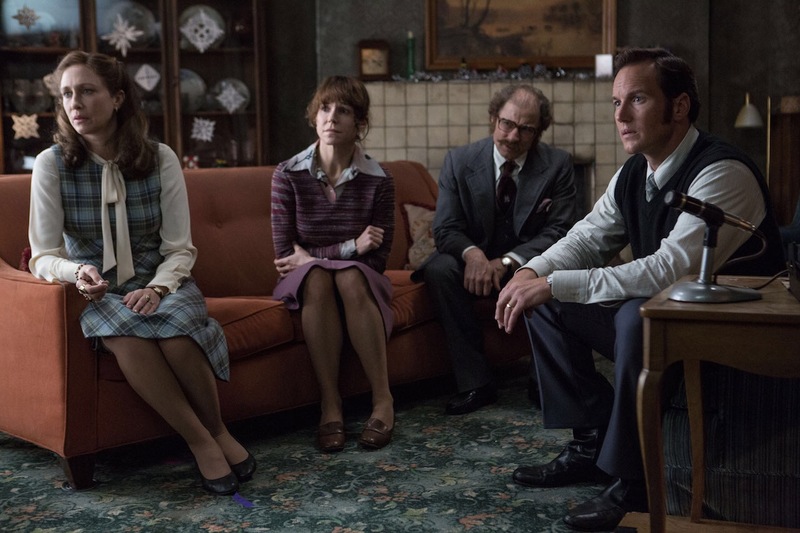 The movie starts out with the Warrens(played perfectly once again by Patrick Wilson and Vera Farmiga) in the middle of a investigation in a haunted house. It’s not just any haunted house – it’s the Amityville Horror house. I really loved the shot of the camera pulling in from behind the infamous eye shaped windows. We see the Warrens performing a seance to see if the house is indeed haunted. No surprise here – it is. Lorraine lives out the night that Ronnie DeFeo horrifically murdered his whole family due to spirits in his head. Even though the Amityville sequence is not long, mostly just used as an opening scene, I’d love to see James Wan have his own take on the Amityville story. A couple of years later, a family in Enfield, England begins to be terrorized by a demonic presence in their home. What starts off as sleep walking, loud banging, toys moving – turns into a true nightmare. Especially for Janet Hodgson who is the youngest girl of the family who is then possessed by a spirit who used to live in the home. 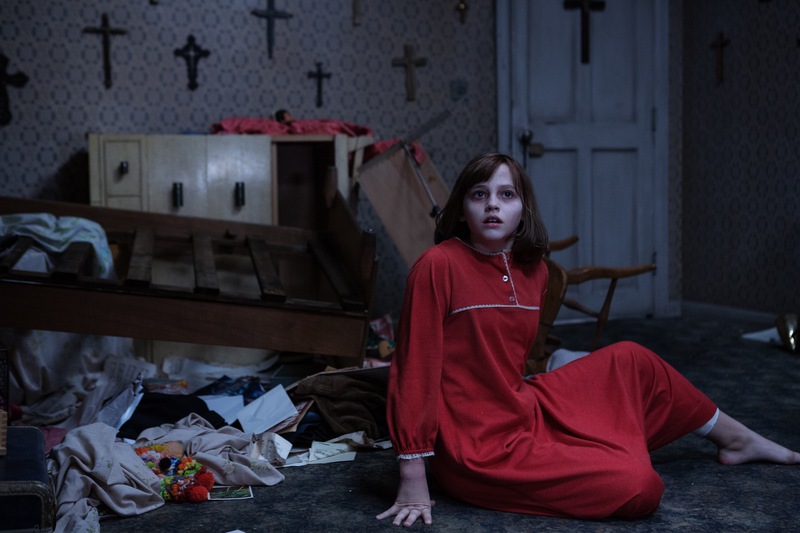 Kudos to Madison Wolfe(the young actress playing Janet) who does a great job in showing the range from portraying a sweet young child, to a girl with the conflict of having a demon terrorizing her. The possession scenes might not be as graphic as The Exorcist, but it doesn’t have to be. Whenever you hear a demon or the sound of an old man coming from a little girl’s mouth, it’s just down right disturbing. The Warrens are then told of the haunting and must travel to England to help the family while trying to deal with their own personal entity as well. I knew alot about the real life stories of the Warrens, but never really knew of the story that is called “The Enfield Poltergeist”. I love how they played the actual recordings and showed real photos from the haunting from 1977 during the credits. Yes, it’s your typical “family gets terrorized by a demon” story, but there is much more to that. James Wan to me is in the same class as Wes Craven, John Carpenter, etc. He knows how to make an actual good story while providing scares. And no, it’s not those cheap pop scares – it’s the slow and suspenseful build up. One of my favorite scenes(there is many) has Ed Warren having a discussion with the entity who has possessed Janet. Janet is sitting in a chair with Ed having his back turned to her. The picture is focused on Ed, with the young girl being out of focus, a blur. You then slowly see the blur turn into an old man, which lets the audience know that Ed is no longer speaking to Janet. It was a very memorable scene. Even though I am constantly praising James Wan and the directing of the movie, he couldn’t have done it without the actors and actresses playing their part as well(no pun intended). 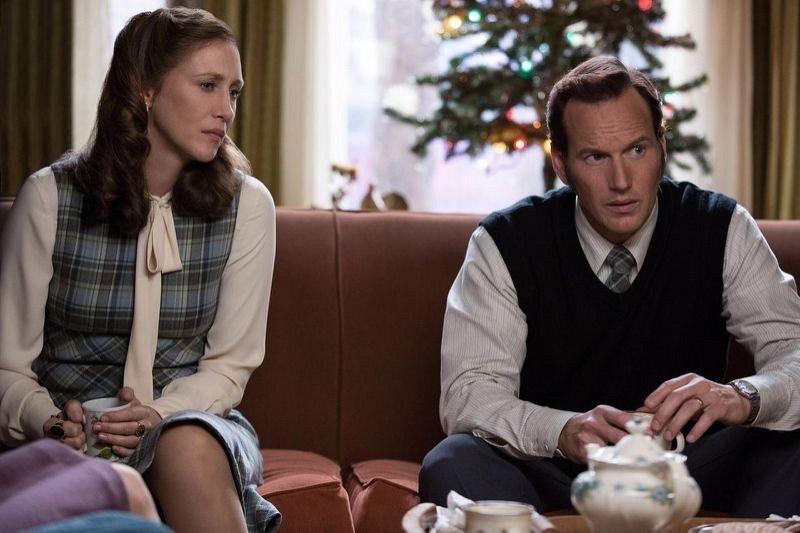 In what was a well rounded cast – the true stand outs are Patrick Wilson, Vera Farmiga, and young Madison Wolfe. As long as there was a good story to be told, I’d love to see many more of the Warrens investigations featuring Wilson and Farmiga. Their performances are what brings heart to the last two movies. You connect with them, invest in them, and truly root for them. The two of them are PERFECT as Ed and Lorraine Warren. The Conjuring 2 is not only a great horror movie, but a great movie in general. It’s tough to even get a decent horror movie nowadays, but luckily for us – we live in a world where James Wan is excellent at telling the story of the Warrens. Sure this movie may not scare everybody, but if you don’t walk out scared – you will still walk out pleased. As long as Wan is directing and Wilson and Farmiga are playing the Warrens, bring me more Conjuring movies! I give The Conjuring 2 a 10/10. ← Eary reviews for Warcraft are in!